Getting recognition and accolades always brings along a warm feeling of privilege and gratitude. We are proud to announce that our co-founder, Vikas Chawla, has been listed as one of the top leaders in content marketing in Linkedin’s Content 50. LinkedIn is the world’s largest network of professionals so being hand-picked as one of the top 50 content marketers in this platform is sure a feather in our cap. Content 50 is powered by Paul Writer – a marketing advisory firm that connects businesses around the globe. Through Content 50, LinkedIn recognises marketers in India who lead a team of digital wizards and create online strategies to enhance the journey of their customers. Each candidate is assessed on a wide range of parameters such as creativity, execution, targeting, innovation, effectiveness and accolades. At Social Beat, we offer a 360-degree digital marketing approach to our clients. From social media marketing and web development to SEO and content marketing, we leave no stone unturned in making sure your brand stands out in the digital hemisphere. With upcoming digital trends like the growth of regional content online and lightning fast AMP-implemented pages, we helped our clients leverage the power of vernacular content and produce 33% lower CPL with landing pages that load faster. Getting recognised as one of the achievers in LinkedIn’s Content 50 has contributed to the wind beneath our wings. The striking personalities sitting on the esteemed jury chair include Ms Virginia Sharma – Director, Marketing Solutions, LinkedIn India – and Mr Ashish Bhasin – Chairman CEO, Dentsu Aegis Network South Asia. Anantha Singh Raghuvanshi – Executive director of Sales and Marketing, DLF Home Developers Ltd. The list was unveiled at the Futurist Business Conclave 2018 held at The Leela Ambience, Gurgaon, on 24th of August, 2018. This was the 6th edition of the conclave that hosted panel discussions on the impact of AI on today’s digital front. The event also included a MasterClass that offered one-on-one discussions for invitees only. Whether you are a real estate giant, a leading financial firm or an FMCG brand trying to grow your business by going digital, reach out to us at Social Beat and engage with India’s next billion Internet users. At first glance, Quora doesn’t seem like it would be an important tool for a marketer. However, underestimating the value of Quora can be one of the worst mistakes you can make for your brand. Quora has 1.5 million visitors every month. That’s 1.5 million visitors who have the potential to discover your brand and become prospective leads. This is why one of the biggest digital marketing trends of recent times has been the growing focus on Quora. Quora has a distinct edge over other question and answer forums because of its highly monitored content. User profiles are strictly verified and content is routinely checked for quality. Building your brand’s presence on Quora can help increase awareness of your brand, increase traffic to your site and even generate leads. Here are seven crucial reasons why your brand needs to make use of Quora in its overall marketing strategy. The biggest advantage Quora offers is that it is made up of a large community built on trust and whose members rely on each other for information. When you provide informative answers to questions users pose, you’re automatically increasing the credibility of your brand. Quora allows you to engage in meaningful conversations with your target audience and establish your brand as an expert in your field. However, it’s important that you never attempt to oversell your brand on Quora. The community on Quora is distrustful of marketers and hates self-promotional material. When you’re marketing your brand on Quora, ‘less is more’ is a strategy that always works. Instead of speaking about your brand in great detail, focus instead on providing informative answers to the questions being asked. This will gradually build your brand credibility and bring users organically to your site. Google search results often include Quora posts among its highest ranking sites. This makes Quora a powerful SEO tool to drive organic traffic to your site. You could even increase your chances of showing up in the top results by strategically using important keywords with the help of keyword research tools. However, you need to make sure your content is relevant. Dropping keywords with abandon and speaking extensively about your brand with little to no connection to the actual question will decrease your chances of showing up in search results. One of the biggest digital marketing trends this year has been the growing importance of influencer marketing. If you’re struggling to find key influencers for your brand, Quora could be a great resource. There are many users who are identified as key contributors by Quora because of their highly informative answers. Users rely the most on these key contributors because they have repeatedly established their credibility. You can engage with these contributors by answering their questions or by providing comments to their answers. You can even directly reach out to them and ask if they would be interested in helping you promote your brand. Thought leadership is a coveted badge every marketer wants for their brand. Establishing thought leadership makes your brand an authority in its field and increases trust in it. Building thought leadership can take some time, but the payoff makes it all worth it. One of the best ways to establish thought leadership is through Quora. By providing meaningful, informative answers to your consumer’s questions, you’re demonstrating the extensive knowledge you have on the subject. Many brands struggle with building thought leadership because they don’t know how to steer a conversation in the direction of their brand’s offerings. Quora saves you the trouble because the conversation already exists; you just need to contribute to it. Clearly, no marketer can afford to ignore Quora if they want to successfully build their brand’s digital presence. Quora is even more essential when it comes to marketing for a start-up because it helps new consumers come across your brand. So take full advantage of this site for a well-rounded digital marketing strategy. This article was previously published as Quora: A must-have in your digital marketing playbook on Business Line on Campus. As the old saying goes, “Content is King” and the dynamic industry of digital marketing is not an exception to this universal notion. In today’s digital world, content marketing is the go-to marketing strategy to make your brand trend by targeting your audience and engaging them with your brand. However, it is a common theory to only associate blogs to content. Our minds have been tuned to the fact that good content can only be written in the form of chunks of text. But, in reality, there are many types of content, from catchy videos and hilarious gifs to stunning pictures and gripping podcasts. The plan is to engage your target audience through a means of information which they find interesting and which also promotes your brand in a subtle way. Nevertheless, with the plethora of information available online at the mere click of a button, making your content rank in the first page of search engines with a strong SEO strategy is quite a herculean task. The key lies in creating content that your target group relates to and religiously promoting it in social media to reach out to your potential consumers. Good targeting will lead to higher engagement on the post, which will lead to a domino effect of it ultimately being flagged off as viral content. That being said, brands have begun adding heaps and loads of content to their marketing plans. From expansive blogs to informative videos, they are leaving no stone unturned in making sure their brand is out there. But is that enough? Sure this will make the brand get out there but is it really “out there”? The secret, to making content truly stand out of the oodles of information flooding the Internet, is to post limited information which is 10X better than what is already out there and is packed with the potential to go viral. However, the only way you can truly reach your audience is by vigorously promoting it. Splashing your content on various digital platforms through paid promotions and ads will boost your reach and also give it the push it needs to go viral. A viral post creates a lot of buzz in the target group and ultimately helps in generating leads for the business. As per Buzzsumo, Brian Dean of Backlinko has executed this content strategy to great effect. Brian has published just 53 posts over the last five years, less than one a month. These posts have driven nearly 4m visitors to his site. The average shares and links per post are what most of us can only dream of: an average of 2,490 shares, and 275 links from unique domains, for each post. One such post that went viral with a paid reach of 3,51,565 and an organic reach of 64,79,859 is an informative video for one of our clients from the finance sector. Since our client provides financial services, we engaged their target audience with an explanatory video on the money-saving lessons we can learn from an ant. With total ad spends of Rs. 5000, we reached a total of 68,31,424 people, with 21,65,549 video views and 93,241 shares on Facebook. Additionally, we also customized the ad by using a regional language to make it more relatable and simple for the target audience. This way, we struck gold by amplifying content through both content marketing and native advertising. To sum it up, it is all about quality instead of quantity in the powerful world of content marketing. Creating engaging content and pushing it to go viral with vigorous promotions and effective ads can not only help in branding your company but also boosts your reputation and authority. Brands usually are under the misconception that the more content you create, the more visibility you’ll achieve. However, this is not true. Keeping the “Less is More” content strategy in mind, let’s take at a look at the current ad spends model of a company and the ways we can improvise on spending the same amount for a wider reach. By applying the “Less is More” content marketing strategy, the brand will focus on reaching a wider set of audience and generating more leads with the same amount spent on promotions. The plan is to generate content of premium quality and authenticity and promote it on social media for a higher number of link clicks and prolonged engagement in the same budget. With all the statistics mentioned above, it is safe to say that though creating gripping content will help you achieve your content marketing goals, the key lies in promoting it effectively. Creating a handful of relatable posts every month and promoting it vigorously on networking channels is the foolproof way of grabbing the attention of a visitor and converting them into a loyal customer. Having a blog has become mandatory for all organisations. However, with so many blogs out there, how do you ensure your blog is search engine friendly? The best way to do that is through SEO and content. If you are using a WordPress blog, here are 10 plugins that you should use. Yoast SEO is one of the most popular plugins for WordPress. It can handle almost all on page elements except markup data and schema tags. If you are looking to install this plugin, read this step by step tutorial to set up this free SEO plugin. AMP is a project designed by Google and Twitter to make mobile pages to load quickly. AMP is a kind of Facebook Instant Articles. There are many plugins available to implement AMP in Wordpress sites. The best plugin for AMP in WordPress is "AMP for WP - Accelerated Mobile Pages." Once it is implemented, the page loads quickly, especially on mobile devices. All in one rich snippet is a free plugin, which currently has 79 5-star reviews from the WordPress community. This plugin is used basically to provide a summary of the page in the search results on Google, Yahoo, Bing and even in Facebook news feeds. It does so by using an interactive format with star ratings, author photo, image, etc. Many webmasters use this plugin to get higher rankings in search results. ShortPixel Image Optimizer has over 50,000 Installs and the main motive of this plugin is to compress JPG, PNG, GIF and even PDF document. By doing so, it reduces the load time of the website and increases rankings of your website in search results. It also has the option to bulk optimize through media library. This plugin supports both HTTP and Https version of the website. This plugin allows us to load your website quickly which is good for SEO. It replaces web site's post images, thumbnails, gravatar images and iframes with a placeholder & loads content as it gets close to enter the browser window when the visitor scrolls the page. Using outbound and inbound links are extremely important for a blog post. However, when you use outbound links, it is important to make sure it is a nofollow link. The Rel Nofollow check box does exactly that. When you install this plugin, it gives you a checkbox in the insert/edit link popup for adding nofollow attributes. Redirection is a plugin for WordPress to manage 301 redirections, keep track of 404 errors, full log report of 301 redirections. All URLs can be redirected with this plugin except the URL, which doesn't exist. Although Wordpress is secure on its own, it is a good idea to have a security plugin on your blog page. The plugin has numerous account security features such as password strengthening tool and has the ability to check if any of the accounts have an identical username of passwords. It also provides a security score, which will tell you how secure your website it is. Keeping people for as long as you can on your website is a great sign for better SEO. A low bounce rate is a hint that your users are finding value in your site and spending more time. One of the best ways to improve this area is to install Yet Another Related Posts Plugin. This plugin displays relevant post related to the current content. This will ensure the users are given interesting content to read and makes sure they spend more time on your site. We hope this article helped you to get some ideas about must have SEO WordPress plugins every website should have. This article was originally published in Business Line on Campus. Digital news has caught up easily because of its simplicity. Data is usually accessible through an app or a website with mobile compatibility. Big names have realized the importance of digital media due to the silent downfall in newspaper and magazine sales. Currently, there are 106 million users viewing digital news in local Indian languages. This figure is anticipated to add up to 180 million users by 2021. However, Hindi, Marathi, Bengali and Tamil make up 80% of the current users. The major categories of type of news viewed are general, sports and politics. This only means that there is a dire need of more companies to enter this segment, to keep India more informed and updated. Digital Classifieds are a very big sector. This sector has the potential to cause a ripple effect as people interact with each other in the same area and subsequently belong to the same target group. This would cause information to travel to a larger audience. Furthermore, Indian language usage would provide an extra boost by causing the information to reach nooks and corners of rural India. The top categories, which are looked up the most in classifieds, are matrimony, recruitment and real estate. Nevertheless, the only obstruction in digital classifieds is the lack of availability. This sector is anticipated to grow to an astonishing 100 million user base in the coming five years with individuals fluent in Hindi, Tamil and Kannada forming 70% of the total users by then. The sector of digital payments is estimated to grow at 30% CAGR and a humongous 175 million consumers are expected to use it with Indian language interface by 2021. These gates are mostly used for mobile recharge and utility bill payments. Tamil, Telugu and Kannada are heading the charts in the languages open to quick adaption and will form half of the users on the digital payment platform. According to statistics, Indian language users prefer buying electronics online rather than apparels or other accessories. As for the sellers, it has become much more convenient for local sellers to reach e-commerce giants like Amazon. One can sell their products on Amazon in five easy steps - the steps being creating an account, listing, taking products live and handing over the product to Amazon for delivery. It is quite convenient and hassle-free. The user base for e-commerce in local languages is growing at a high rate. It has a CAGR of 32% and is expected to add 120 million users in the upcoming five years. This popularity can be attributed to two major factors as voted highest by consumers: Firstly, the availability of better promotional offers and secondly, the huge variety of products available online which may not be present in the smaller cities or towns of India. The main obstruction users experience is the lack of end-to-end compatibility in Indian languages. However, as these obstructions show signs of quick recovery, e-tailing in local languages apart from e-commerce in English, will be a lucrative segment for the e-giants. It is no surprise that impressive progress has already been made in this segment. Currently, a mass population of 162 million exists as the user base. Keeping in mind that the predicted user base by 2021 is 392 million Indians, there is much more that can be done in the digital entertainment arena. The content has the space to be comparatively more experimental and creative than other platforms as the adoption rate is 90% for this sector. The viewer’s quickly adapt to the kind of material available to them. These users consume both audio and video mediums. To tap into this huge market, we used local languages for our informative videos like the Chola Finance video which was very well received by the Hindi speaking locals. The video got a whopping 1,751,355 Views and more than 64,000 shares. The challenge remains in picking the right medium like Facebook, Hotstar, Youtube, tvfPlay or other regional channels. If you are looking to create videos, read our blog on how to create low cost videos. There are currently 41 million users under the segment of online government services. It is increasing at a CAGR of 33% and is expected to land at a massive 172 million in the next five years. Some of the applications that constitute online government services are tax filling, applying for government jobs and knowing about new rules and regulations. The Indian Government can use this platform to increase transparency and cut down corruption. However, limited local language enablement combined with lack of interest and awareness poses a huge obstruction which needs to be addressed immediately. Chat applications currently have a 170 million user base and are anticipated to reach a 400 million user base by 2021. Hindi is topping at a huge margin of 50% as of now. Kannada is expected to grow to a far second with a whopping 20% in the coming years. The major challenge in this is the upgrade needed in voice to text, language keyboard and transliteration. Social media platforms have a total of 115 million local language users as of now. This figure is expected to grow to 300 million by 2021.The South is anticipated to dominate this area due to its better adoption skills. Digital write ups are a very interesting scope for Indian languages on the digital platform. It will provide visibility for the users who want to put their content online. It will also provide job opportunities for local people by companies looking to improve their SEO options by generating more local language content online. Additionally, mobile friendly blogs are preferred by users. 54% of Indians would adopt reading write ups if they are optimized for mobile screens. This ongoing shift in India’s internet scenario has not gone past unseen by the Indian Government. Taking into account the increase in smart phone availability due to cheaper prices, a 176 million increment is expected till 2021. A striking 90% of these consumers are anticipated to be Indian language users. The government has taken this into account and made it mandatory for mobile phones sold in India to be Indian language friendly. Additionally, the government has also taken an initiative to make 60 million rural households digitally literate. There are approximately 500 million Indian language users online. This figure will significantly have a huge impact on the nature of content presented on digital platforms. Additionally, this audience will be more inclusive of the elderly and the rural population. Also, as long as the type of sectors is concerned, Digital Classifieds, digital news and financial solutions will see a major boost. Due to the local reach, many B2C users might exploit the Indian language user base on various channels. Digital marketing in Indian local languages will get them untapped markets in India. The companies which will be involved could be news sites, e-commerce players, insurance companies and m-wallets to name a few. In tier 2 and tier 3 cities, this can be encashed at a higher level. Since 90% of the new mobile buyers are local language users, a whole new customer base can be reached through this medium. Here's an interesting video that tells you why you need to have a multilingual strategy if you want to create a strong digital presence among your regional audience. Indian language based websites and application will see a rise. Digital advertisements in local languages could also be used by B2C companies to increase reach. Additionally, Google display ads could be customized to the regional language of the state where they are being viewed. This progress would result in new data generation for companies. The database, through structured investments, can be analyzed for specific language behaviors. This will help digital marketers in ad planning and targeting. We need to move to a language agnostic ecosystem. This is required to give a platform to the Indian language content creators. Voice recognition will be of major help to the users who find using search and navigation through text a challenge. It is affirmative that the preference given to regional languages will play an active role in internet consumption. It will also help explore a huge new market for brands. Brands that miss this bandwagon are sure to lose out on quite a few million potential customers. Furthermore, Indian language in digital will lead to the spreading of knowledge in rural parts of India. Tier 2 and tier 3 cities will also be of prime targeting in this arena. With such profound reach, it is safe to say that marketing through your regional language is the next step in digitizing India. Good content can go a long way in effectively building brand recall and trust with a brand’s target audience. This has made content marketing a key ingredient in every business’ digital marketing strategy. With all marketers the world over dishing out content to reach, inform, engage, educate and connect to their target audience to build their brand, the amount of content produced on a daily basis has grown exponentially. Sure, the internet population has grown as well, but content creation and publishing is growing at a rate much faster than the growth in internet connectivity. In fact, as per a recent AOL and Nielsen report, over 27,000,000 pieces of content are shared every day! Even if we assume that only 1% of this content is great content, that’s a really huge number of great content pieces being published every day! In such a scenario, it is critical to ensure that content cuts through the clutter and reaches the audience it has been created for. Quora is recognised as the most comprehensive and trusted online forum. You can ask and answer questions relating to any subject matter. Since forums provide an open source for your Target Audience to discuss a topic, you can add value by responding to their queries using your existing write-up, if relevant. You can also link back to your blog or website, which effectively renders your work as a credible source. Have interesting stats or facts that are share-worthy as individual pieces of content? Share those snippets on Twitter. The microblogging giant is one of the most active social media platforms today, so anything interesting that fits within 140 characters is bound to be retweeted. You can even take screenshots of other elements like pictures, infographics and quotes and use a shortened URL of your website for promotion. Roundups are collections of the best or most happening events in a particular industry. If your content is information based, you have a high chance of featuring in a roundup. Begin by searching for relevant roundups on Google (limit your search to the past month), then pitch your content to the roundup curators. If luck is on your side, the curators will feature your content in their collection. Roundups are searched extensively by business professionals, so your content will reach a niche audience, which works brilliantly for amplification purposes. While researching for your content, you will surely come across existing articles that have written on the topic similar to yours. Content from reputed sources should already be generating traffic through social media shares. Your best bet is to copy the URL of the article and search for it on sites like Twitter and Facebook. You will be able to spot people who have shared the content, so contact these people through a direct message, requesting them to share what you have done as well. While researching, you may also come across interesting pieces of information that were quoted by credible sources. It is advisable to link to these sources while writing your article. When you publish your content and promote it on social media, use Twitter mentions or Facebook hashtags to prompt those sources that you’ve used their information. Doing so will increase the chance of your article being viewed by multiple individuals through the mentions. Sniply is a very simple yet effective tool that lets you create a one-liner message about your article and display it along with a button prompt. You can use Sniply to overlay your custom message onto any other piece of relevant content. The tool lets you drive conversions from one piece of shared content to another. Let's assume you've found content that shares information about a topic similar to yours; you can use the Sniply tool to add your link to the topic, prompting the reader to delve deeper and gain more knowledge on the subject matter. LinkedIn is nothing but the Facebook variant for all things professional. If you' content has information that can help professionals, LinkedIn is the best platform for promotional purposes. Much like Facebook communities, LinkedIn has an option where you can create groups. Find such groups that could make the most out of your content and share it on their pages. There is competition everywhere nowadays; you are sure to find a whole lot of articles similar to yours. Some of these articles would have gained immense social share yet may lack certain pieces of information that your article has. You can take advantage of this by pasting the URL of the similar articles on Ahrefs or Open Site Explorers. You will get a list of pages or sites that have used those articles as links. Reach out to those sites and ask them to link your fresher and better content. SlideShare is the perfect place to promote presentations to get the visibility you need. Once you upload your content on Slideshare, you can also share the link on LinkedIn as well. LinkedIn, as we all know, is fast becoming the go-to spot for business professionals when it comes to reading about industry related news and topics. Reaching out to influencers at scale is a good idea to amplify your content. Getting your content featured by some key influencers or getting them to share your content can amplify your reach drastically. Pick influencers that are relevant to your domain and engage with them. Contact more than one influencer and engage with them regularly for better reach. The content mentioned above include promotion strategies that are used to their fullest potential by some of the best content marketers on the planet. Of course, some of these strategies may die out while others will evolve, so to stay ahead of the curve, you'll need to keep your eyes peeled and ears tuned. If there are any content distribution channels which you have tried that could be added to the list, do let us know in the comments below. 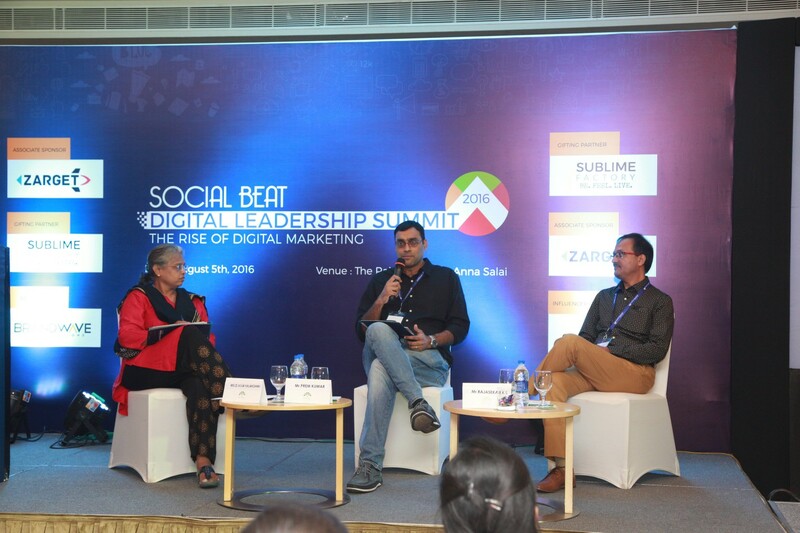 Below is the gist of the panel discussion on Making Content Marketing work for your Brand at the Digital Leadership Summit In Chennai In August 2016. We had two panellists moderated by Mr Prem Kumar Sivakumaran from The Smart CEO Magazine: Ms D Vijayalakhmi – Murugappa Group and Mr Rajasekar KS – matrimony.com. Content marketing is the current buzz word, and the session started with a discussion on what each of them feels about content marketing. We also have had a Digital Chai Pe Charcha On Content Marketing Success in 2016 andyou Can Read It Here. Viji from Murugappa Group highlighted that content should be something that is interesting to all readers. Content that makes the reader feel good, look good and do good is a successful content marketing campaign. It should be lesser about the brand and more about the audience. For more detailed steps on creating high quality content check out our blog on 10 Ways To Create 10x Content. Rajasekar expressed that content marketing is more about content and less about marketing. While most brands believe that it is about amplification, Raj said that it's more about understanding the customer and their problems. He also said that when a company starts talking about customers problem, its business starts and when it starts talking about its business, its problems start. Content should engage the customers; then it can be a successful one. At Murugappa Group, it is predominantly about the brand itself. Viji spoke about how at Murugappa, they also think of fun and meaningful stories and try and connect with the target audience, even when it is about the B2B brands. Raj spoke about their initiatives at happymarriages.com, a content marketing initiative set up by BharathMatrimony. He talked about how it was initially tough to create content around it because people were unwilling to talk about their expectations from marriage. So his team set about trying to understand what issues couple would face. After three months of research, they arrived at 500 themes and worked with authors, senior writers and an internal team to write engaging content that the audience could relate to. While talking about strategies, one of the members of the audience asked an interesting question about with so much content out there, how do to stand out? The panellists agreed that crowdsourcing high-quality content is the answer. They also spoke about examples of organisations such as Amercian Express Bank, GE initiative that has done a great job in standing out. Prem also highlighted using a platform such as curata.com, a platform that curates content, which also enables marketers to scale content marketing to grow leads and revenue. The panelists both agreed that although you can look at shares and likes, the success can be measured only when you get customer feedback. If a content piece has solved the customer's pain points, then you have succeeded. They also urged any company using content marketing to use this as a metric. The panellists spoke about how video is the most captivating of all channels, and each of them highlighted how they leveraged video in their organisations. Raj explained how his team went to five cities and interviewed 36 couples. They chatted with customers about relationships and aired these on national TV. Viji talked about the Murugappa Madras Song. She highlighted how the company found a connect and used that to create a video that went viral. The video was so powerful that even a city-based league team requested the conglomerate to make an anthem for them as well. The panellists also urged marketers to resist making a viral video for the sake of making one and asked marketers to keep their ears tuned to the customer. There are a lot of ways in which you can create good quality videos with a low budget. Read our blog to know more. Whatever be the industry, there is always a way create stories. The key is to understand the audience. Viji mentioned the farmer video that the Murugappa Group made. They asked a simple question, "What is the most important job in the word?" This emotional video stuck a cord with the public and was shared far and wide not only on social media but also on WhatsApp. The panellists advised startups to leverage PR and stated examples of the ALS Ice Bucket Challenge and how they used their social media campaign to not only gain visibility but also get a lot of PR coverage as well. Raj also spoke about Richard Branson, CEO of Virgin Airlines jumping off a ten storeyed building and how the media wrote about it. He also asked marketers only to do these crazy stunts if it suits their personality and the brand. PR is the biggest pipe to the audience, and it can get customers. So whatever campaign a marketer does, it is important to leverage PR. Content marketing is a must-do for all brands, and more brands are willing to spend money on it. Raj also spoke about how any marketing initiative is ultimately boiling down to content and about how marketing cannot exist without content. Content is the only pipe you can sell any product. Prem also added that the first ever content market initiative was done in the early 1900s by John Deere, the tractor company when they created a magazine ‘Furrow.' So the concept is not new only the term Content Marketing is. The second edition of the Digital Chai Pe Charcha, held at our office on 27th Feb 2016 received a great response with about 25 participants including entrepreneurs, professionals, digital marketers and social media influencers taking active part in the discussion. The topic of discussion was achieving content marketing success in 2016 and beyond. Also, with most users being bombarded with ads from a large number of brands and with the use of ad blocking growing at a rapid pace, inbound marketing through valuable content works better and helps reach out to an audience that paid ads would never reach. Once you find topics that you could create 10x content on you would also need to check if there is a large enough number of users who are searching for content around those topics. This is where Google Keyword Planner comes into play and helps you figure out which topics you should create content on to get large volumes of organic traffic. Once you decide on a topic to create content on, you need to research the topic, do a competitive analysis and find the most successful content around it. This can be done by searching for different keyword variations on Google Search to identify top ranked content or by using a tool like Buzzsumo to find the most shared content on the topic. Use LinkedIn Ads, Facebook Ads & Promoted Tweets. Q: Is content marketing the way forward for SEO as well? A: The focus of SEO has shifted from just keyword optimization and link building to not only producing quality content that addresses users’ needs but also delivering that content to the user with the best experience possible. Content is now the new SEO and creating 10X content is going to be the way forward in 2016. Q: How do you measure results from Content Marketing? Conversions from the blog – Enquiries generated from your content marketing efforts. Q: How long do content marketing efforts take to start showing tangible business results? A: There is only one right answer here and that is – it depends. There are multiple factors that will impact your success timelines like your existing domain authority, the time and effort invested in content creation and promotion and the content promotion budgets, if any. Typically content gets indexed in a few days and you can start getting traffic but time period to get business results can vary from 3-4 months all the way up to even a year. For example, when we started our influencer marketing platform, Influencer.in it took us 4 months before we started getting tangible results in the form of enquiries via our content or via google organic traffic. Q: What tools can be used to create Infographics when one does not have a design team? Q: Does post regional language content help content marketing efforts? A: Yes, translating content to regional languages can help reach out to a newer audience, provided that audience is relevant to your business. Regional language content can also help increasing search traffic to your website, as shown in this article on the growth of regional content as well as this case study by Neil Patel. Q: How do I know my content is 10x? Is your content longer, detailed, more thorough and more up-to-date than any other content on the web? Does the content contain better visuals – infographics, images, slideshares, videos? Does your blog have an excellent User Experience? If you were your target audience, would you find this content valuable enough to link to it or share it? 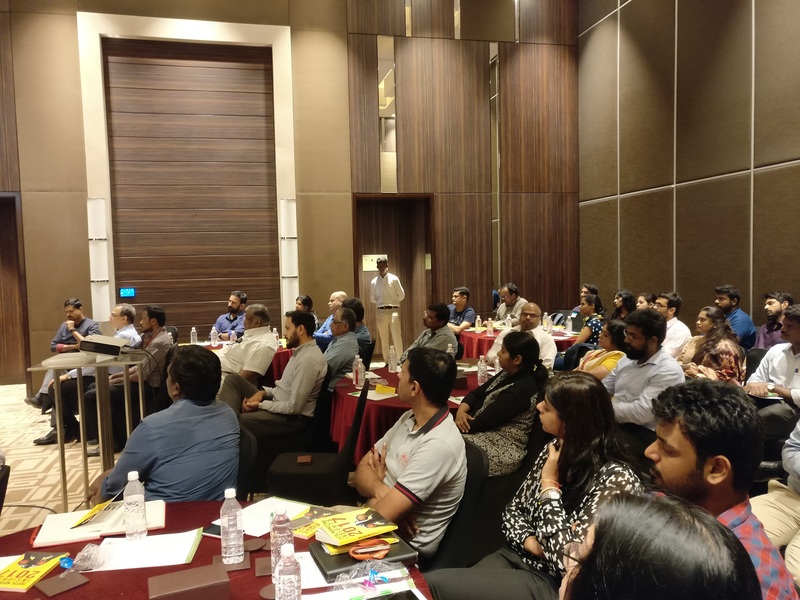 Those of you who missed the inaugural edition of the Digital Chai Pe Charcha last month can check out the meeting summary here. You can follow us on Facebook and Twitter or check out the hashtag #DigitalCPC for more details on the next Digital Chai pe Charcha meet. Are there any digital marketing challenges or problems you face in your organization? Do let us know and we would be happy to include them as discussion topics in upcoming Digital Chai Pe Charcha sessions. You just created the sleekest website on WordPress that has a super responsive user interface and killer content, but you’re not getting any conversions! It all boils down to page load time at the end of the day. No matter how wonderfully you craft your website, if your page loads slowly, your visitor will navigate away. They’ll navigate to an uglier website with terrible content but that loads quicker. You don’t want that. Page abandonment increases with every second longer it takes your website to load. All hope is not lost, however. With just a few simple and easy to implement ideas, take your tortoise of a webpage and give it a turbo boost. First of all, test your website’s load time with this handy tool from Pingdom or pagespeed from Google. Does your website pass the 2-second rule? According to several surveys that a Kissmetric article researched, most web users look for a website that loads within 2 seconds. The longest they’ll wait is 3 seconds! Any longer than that and your page needs heavy optimizing. Before reading any further make sure you have a good server and has servers based in India (if you are targetting the Indian market. We would recommend Bluehost for a shared Linux hosting or a Wordpress optimised hosting if your site is on Wordpress. So you’ve run the test for your website and it’s pretty slow. What next? Check out these scientifically-backed tips to improve your website’s speed. Yes, implement LazyLoad into your website design to improve the amount of time it takes for your site to load. With LazyLoad, you can cut back on the page load time, and allow users to save their bandwidth. Win-win for all! Images (in sizes) are indirectly proportional to any website speed. Bigger the image, slower the loading, best solution is to compress images without losing quality. You can use free image compression tools like Caesium to compress images without losing much of its sharpness & clarity. In wordpress, there are plugins like Smush.It or Ewww Image Optimizer which use lossless/lossy method to optimize the images. The great thing about these plugins is that they work in the background every time you upload a new image you can also run it retrospectively on all of the images uploaded to your media library. They come with limitations that the base image should not be more than 1mb in size (so Caesium can be used to compress initially). The WP-Optimize plugin allows you the freedom to optimize your MySQL database with just a click! Want a winning idea for speeding up your website? Reduce or get rid of cookies altogether. Your visitor will also be thankful that cookies don’t bog their system down. Don’t redirect. When you redirect your visitor to another page, you’re only adding an additional HTTP which makes your page load slower. Go all out and give your visitor a faster website today! Content is any brand’s most powerful weapon which can be used to fulfill marketing and branding objectives. A strategic approach towards creating and distributing content creatively can attract customers and propel them to take the desired action. While all brand managers are aware of this mantra and are working towards it, how can you differentiate your brand amongst the rest and make it trend? While most brands that fall under the same industry or category have similar social media strategy, the one who thinks differently always reaps better results. Having a fresh perspective towards generic concepts can help in delivering content that interests the user and eventually improves your organic reach and engagement. To quote an example, Planet SuperHeroes came up with an infographic on the New Year’s to show its audience how their lives will look like in 2016. Unlike many brands that did run-of-the-mill updates and wishes on this occasion, PSH went ahead with content that’s relevant to its audience. Boy, did this unique approach towards content marketing bring them organic results? See for yourself below! Here's another example of unique content marketing strategy by the Tamil Nadu's Chief Election Officer, where movie and television references were used to spread awareness about the upcoming State Assembly Elections. Instead of just talking about your brand’s product and services, create useful content that interests your audience. This way, understanding your target group’s expectations and behavior can positively impact your social media content strategy. Spend time on public forums and communities to study the relevant topics discussed by your consumers. Create content that your customers are most likely to consume and will come back to you for more such information. Petwish is an online pet portal brand who published a series of posts on different dog breeds and their lifestyle characteristics – to help customers choose the ideal dog breed for their family. This being an example of a customer-centric content approach, the campaign went viral garnering 42K shares and 20K likes on the page, all organically. Through this campaign, the brand was able to position itself as a knowledge source for its customer base and indirectly boost its branding and marketing efforts. While planning your content marketing strategy, keep the communication same across platforms but approach them differently. Design your content to suit the language, environment and behaviors on different digital media platforms. While creating unique content is one thing, distributing it thoughtfully across platforms will help get the most value out of it. Thus, understanding the potential of each platform and taking a channel-specific approach could result in reaching the right audience, the right way. Creating content around trending topics or events is an age old technique that many brands have used and succeeded in the past. Spontaneity, messaging and creative presentation are the three important factors to keep in mind while plugging-in your content around a trending event. Use the right hashtags or keywords to make your content easily discoverable. And a tinge of good humour or objective take on a social issue would go a long way in increasing the shareability and making your brand trend along with the topic. Below are some of the examples of brands that capitalized on the ‘Be like Bill’ meme that took over the Internet few weeks back. Who doesn’t love humour when it’s appropriate and impressive? With memes and funny illustrations dominating the social media world, humour is undoubtedly the best universal language that brands love to speak. Witty or good humour bridges the gap between a brand and its customer in so many levels and helps in building a community. Spontaneity coupled with creative humour has resulted in a number of successful brand campaigns in the past and will continue to do so. 2016 seems to be year of Visual Marketing with video content and infographics having the best ROI and reception amongst the users. Visual content grabs the audiences’ attention much faster than text and generates more social engagement. According to a recent study by Cisco, video will account for 80 percent of the global internet traffic by 2019. And the numbers have already begun to rise, as more and more brands are gradually moving some of their TV budgets to digital videos. With the increasing availability of platforms such as YouTube, Vine, Periscope, Blab, Flipagram, etc. and the user community shifting to mobile and social, brand managers should make use of these visually appealing content forms to gain valuable results. If you have great content and are trying to amplify it through impactful sources, look no further. Influencer marketing helps in identifying leaders with a significant follower base, who can deliver your brand’s message to a wider audience and influencer their opinions / purchase decisions. Using influencers for your content campaigns can result in higher reach and engagement, thus giving you more mileage than your competitors. What are the content marketing efforts that you’ve taken so far to improve your brand’s online presence? Do let us know about your thoughts in the ‘Comments’ section! Social Web 3.0, a digital marketing conclave was organised by Madras Management Association on 23rd November at Hotel My Fortune, Chennai. The event was attended by industry bigwigs such as Maneesha Khanna, Director of Marketing, PepsiCo and Bhaskar Ramesh, Head of Industries – FMCG, Google India amongst the other notable ones. The event started with an insightful keynote address by Hari Menon, CO-Founder & CEO, Big Basket on digital influence and analytics-driven future, which set the stage for the rest of the day. Vikas Chawla, Co-Founder & CEO of Social Beat spoke about how content & influencer marketing is changing the social media game. 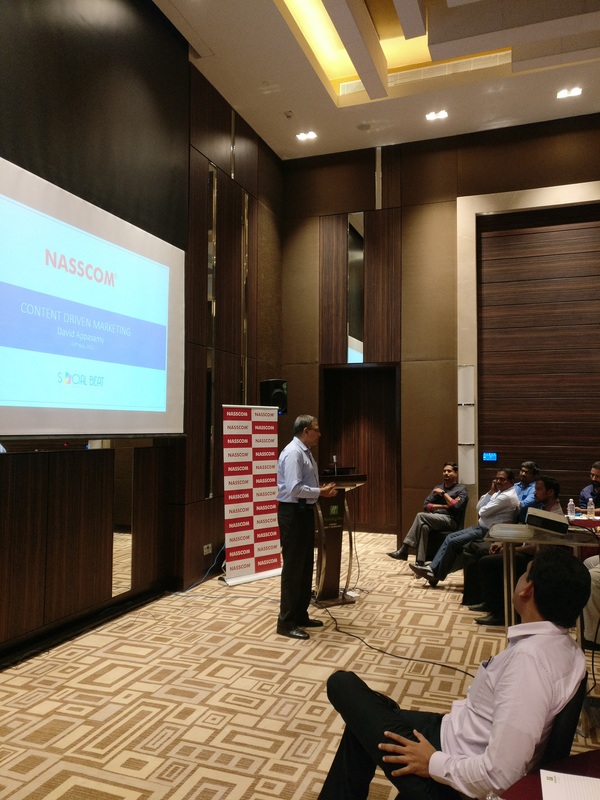 It was an interactive session with a series of questions on how brands can leverage content marketing to achieve business goals and what would be the ideal advertising-marketing mix. If Content is king, there are too many kings out there. Here are some tips to stand-out and leverage on relevant content to achieve business goals. Digital media endorsement by an influencer can work wonders for your brand, only if you pick the right one. Here are some metrics you need to consider before choosing the influencers for your campaign. The next session was a case study by Maneesha Khanna, on #CrashTheIPL campaign that involved consumer generated video content. The idea behind this talk was to understand how videos have become the way forward for FMCG brands to easily connect with the audience. The success of #CrashTheIPL campaign could be contributed to the strong cross channel promotion - yet another game changer in the advertising space. Hence, brand managers should also explore highly integrated digital + TV campaigns, as both of these channels are here to stay. Apart from these expert sessions and case studies, there were also discussions on various trending topics in the digital & social space. Social Media 3.0 also witnessed a bunch of digital enthusiasts who actively participated in Twitter & Instagram contests conducted during the event. Were you a part of this digital media conclave and have more stories to tell? Write to us about your experience in the ‘Comments’ section.